If there is one thing to learn from Michael Foods’ recent announcement of an $85 million food production facility, it is that Greater Des Moines (DSM) is a great place for food manufacturers. Based in Minnetonka, Minn., Michael Foods, serving the foodservice industry, is a $2 billion company of Post Holdings, Inc., and the nation’s largest processor of value-added eggs. Company brands include Crystal Farms dairy products, Better’n Eggs, All Whites liquid eggs and Simply Potatoes. The February announcement of the 143,000-square-foot facility in Norwalk makes it one of the largest industrial projects to come to Iowa. With it comes the promise of 168 new jobs. Plans for construction begin in April and are expected to be operational by late 2019. Michael Foods is joining a host of other food and beverage companies that have recently expanded such as Loffredo Fresh Produce, Capital City Fruit, Atlantic Bottling, Mrs. Clarks, LaQuercia and Purfoods. Added to that, Hy-Vee is building a new $86 million production center. Cold storage facilities to have expanded recently include Crossroads Cold Storage and Iowa Cold Storage. Michael Foods considered other sites in the Midwest during a nearly two-year search but ultimately chose DSM. There are several reasons that make this region especially attractive for food manufacturers like Michael Foods. The food and ingredient industry is thriving in Iowa. The state has a strong agricultural background and access to the raw materials needed by food production facilities. Iowa is first in the nation for egg production with 13.6 billion eggs produced per year, according to the USDA. DSM has been recognized time and again as a great place to do business. DSM has a strong economy that has a cost of doing business that is 15 percent less than the national average (Moody’s Analytics, 2017). Along with its impressive population growth, the region consistently outpaces surrounding metros in gross domestic product growth. The 2016 GDP growth was 3.6 percent. As part of the package to attract Michael Foods, 17 positions received state incentives. Norwalk implemented a new bulk water user rate to keep costs down and the city council approved a 20- year, 65 percent TIF rebate worth about $9.7 million. Additionally, labor costs in DSM are lower than in other metro areas. The cost of labor in DSM is 5 percent below the national average. DSM, the state capital of Iowa, is experiencing a high level of momentum as the fastest-growing metro in the Midwest (U.S. Census Bureau, 2017). A large part of this growth is due to the region’s ability to attract and retain young professionals. DSM’s highly specialized, highly educated workforce makes locating a business in the region even more enticing. The state is currently graduating 91.3 percent of its public high school students (National Center for Education Statistics, 2016), one of the highest rates in the nation. And 35 percent of DSM’s workforce has attained a bachelor’s degree or higher. DSM has a history of working with companies to meet their labor needs. Through initiatives such as the Greater Des Moines Partnership’s Education Drives our Greater Economy (EDGE), the state’s Future Ready Iowa initiative and Governor Kim Reynolds’ ongoing push for STEM, the talent pipeline is being filled with skilled labor. At any given time, the region has over 97,000 students who attend a number of colleges and universities in the region. These institutions work closely with employers to tailor responsive training programs to create a skilled workforce in competencies employers need. DSM has a reputation as a thriving region with safe, vibrant and welcoming communities. It has become the community of choice for foreign-born talent. Between 2009 and 2014, the international population grew 25.1 percent in DSM compared to 9.8 percent nationally. Foreign-born are migrating to DSM at a higher rate than any point in history. Located at the Interstate-35 and Interstate-80 crossroads, DSM is a prime location for manufacturing and distribution to feed any company’s supply chain. Just seven miles north of Michael Foods’ new site is the state’s largest airport, the Des Moines International Airport, which provides passenger and freight services to an ever-increasing number of customers. Being in the heart of the Midwest, DSM has strong ties with agriculture and the food supply chain. The World Food Prize, hosted annually in Downtown DSM, puts the region on the global map as an agriculture hub. So does the Cultivation Corridor, an initiative that launched in 2014 to support and sustain the science that feeds the world. The Michael Foods facility will be built near the intersection of Delaware Street and Iowa Highway 28 in Norwalk. The company plans to spend about $17.5 million on land and construction costs. That budget will go further in DSM. According to the RSMeans City Cost Indexing, construction costs are 8 percent lower than the national average. DSM is also a community that values sustainability. MidAmerican Energy, the region’s electric provider, has a goal of being powered by 100 percent renewable energy. Currently, MidAmerican Energy is adding 2,000 megawatts of wind power. The Norwalk business park Michael Foods decided to build on started out as a 55-acre certified shovel-ready site, which proved crucial. As the closest certified site to DSM, it didn’t take long to fill all 55-acres with job creating development. In fact, it took less than 12 months, which is a first for the state and a big win for the region. In 2017, Windsor Windows purchased 27 of those acres and constructed a 160,000-manufacturing facility. Michael Food’s $85 million project will be the largest implementation in the business park to date. Being part of Post Holdings Inc., one of the world leaders in consumer packaged goods, the region is confident the addition of the Michael Foods facility will continue to spark interest from other major players across industries. DSM’s land, talent pool and location make it a no-brainer for any business. Hollie Askey joined the City of Norwalk as the Economic Development Director in January, 2017. Askey was previously Executive Director of the Warren County Economic Development Corporation (WCEDC) for over five years. Ms. Askey was the owner of Ashton Personal Fitness Center in Florida and served as a Loan Specialist for USDA Rural Development in the Community Facilities department. During her time at WCEDC she advanced through the organization where she became the Executive Director. 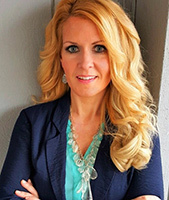 Hollie holds a Bachelor of Science degree in Business Management from Penn Foster College, as well an Advanced Paralegal Certification. Askey attended Heartland Economic Development Institute in 2012, Oklahoma University Economic Development Institute in 2015, and is currently enrolled in the Global Diplomacy program through the University of London. Askey serves as Co-Chair of the Greater Des Moines Partnership Economic Development Practitioners Council, board member of the Mid-Iowa Development Fund, Small Business Development Center, Warren County Philanthropic Partnership, member of the Des Moines Committee on Foreign Relations and a commissioner for the Des Moines Area Sister Cities Commission. Hollie’s hobbies and interests include; foreign relations, business and economic development, Biblical studies, global politics, outdoor recreation and fitness, as well as traveling and time with family.